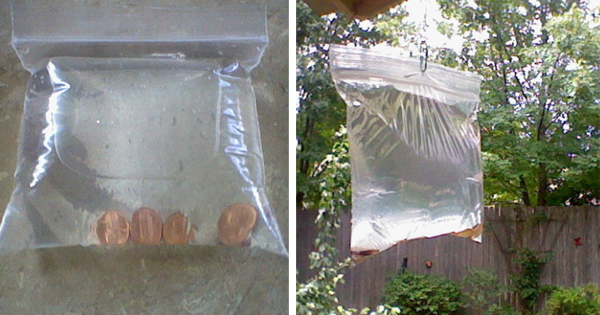 Hanging a bag filled with this in your backyard is crucial for the summer season! With summer coming around the corner, the fly is standing in line to attack everything that does not move, especially our dog. The natural fly killer is something we prefer more than a commercial fly killer, and are always looking for something that works to get rid of each and every fly within range of the dog kennels, patio, yard and inside the house. However, something we never knew existed was the zip lock bag of water as an indoor fly killer and an outdoor fly killer.